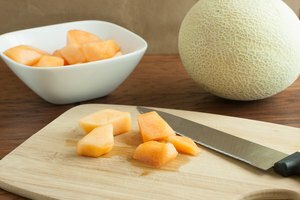 Honeydew melons, a variety of Muskmelon, don’t separate from the vine when they are ripe, so it’s difficult to determine the best time to pick them. And because honeydew melons don’t ripen once picked, picking them at the right time is critical. Feel a honeydew melon’s skin before buying it: you don’t want soft spots. Then, shake it from side to side and listen for the seeds to rattle around inside. Push gently up at the stem to test for a slight softness, and make sure the melon weighs about 5 lbs. If the melon passes these tests, it’s probably ripe (and therefore sweet) enough. 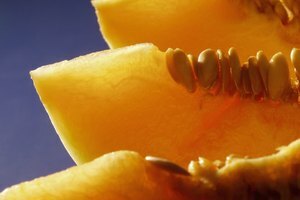 If you choose a honeydew melon that is not fully ripe, you have a couple of options. 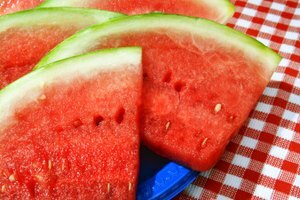 Toss the melon pieces with a little bit of sugar or honey, and let the pieces sit at room temperature for a few minutes. This will help bring out the melon’s juices and enhance the natural sweetness of the fruit. Use honeydew melon in dessert recipes such as Honeydew Melon Sorbet or Honeydew and Sago, a kind of tapioca. 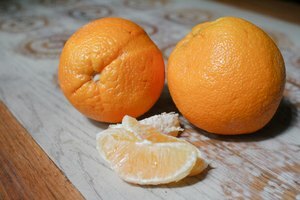 The other sweet ingredients will bring out the fruit’s natural sweetness. 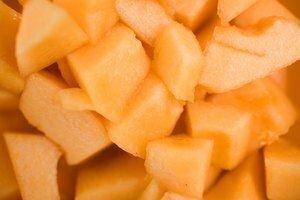 Place cut melon pieces in a covered container and refrigerate them for no more than three days.